As I dreaded graduating from my five-year Fellowship with the Knowles Science Teaching Foundation (KSTF), the question I found myself faced with most was “how can I bring the culture of KSTF to my school?” I really appreciate the working relationships I have built with my colleagues within my school over the past years. However, one of the things I valued most about being in KSTF was the quality of thinking and reflecting I had when talking with Fellows. While I’ve had instances of such in-depth conversations in my school, I desired these types of conversations to be the norm rather than the exception. I teach in an urban high school near Detroit with a population of about 1,000 students. Around 73% of our students are Black, 23% are White, and 65% of all students are considered economically disadvantaged (free/reduced lunch). Many of our teachers, including me, commute in to our school and come from very different backgrounds from our students. Our staff cares a great deal for our students, but we have had few professional opportunities to reflect on our practice since much of our professional development time has been spent looking for ways to raise test scores. To shift my staff’s mindset about professional reflection and discussion, I decided to attend a Critical Friends Group (CFG) workshop. According to the National School Reform Faculty (NSRF), “CFG™ communities consist of 5-12 members who commit to improving their practice through collaborative learning and structured interactions (protocols).” Here, members work on things such as reflecting on their practice, critically solving problems, building trust with one another, and developing solutions to complex dilemmas. Before I continue with my story of bringing CFGs into my school, I want to elaborate on the term “Critical Friends.” I think Deb Bambino states it best when she says the work is “critical” because it “challenges educators to improve their teaching practice and to bring about the changes that schools need” without being negative or threatening, and the work involves “friends” because they “share a mission, offer strong support, and nurture a community of learners” (2002, p. 27). From attending my CFG coaching training, I came away with three big ideas for creating a more professional atmosphere: building trust; keeping things relevant; and facilitating a professional discussion. The first idea on building trust was something I never considered previously. Fellows at KSTF have an inherent trust among themselves, because we all want to grow professionally and want to help our students as best we can. By spending valuable hours together at our meetings and online through discussions, we learn about each other and learn to trust one another more and more. In my school, trust between colleagues is generally easier to form within departments; however, there is far less interaction between individuals from opposite sides of the building. Since CFGs are designed to promote collaboration between colleagues of all teaching disciplines, I knew that I had to gain the trust of others to show that what we were trying to accomplish with CFGs was going to be relevant and meaningful to our professional careers and not just be another fad in education reform. The second big idea from my coaching training was the idea of talking about something relevant and important during a meeting. While most meetings I’ve been to have an agenda, not every item on every agenda was meaningful for me. As a result, I admit that I did not put forth my best effort when topics were less meaningful. To prepare for our CFG training, our coaches had us each bring four pieces of evidence: student work and learning data that was puzzling or raised concern; a lesson from our practice that needed to be revised; a critical incident from our practice that we had not been able to get out of our minds; and a dilemma from our practice that raised questions and caused tension. Throughout the week, attendees of the CFG training practiced facilitating protocols that addressed these topics, but because these topics were created by us and were meaningful to us, we all knew that each conversation was important and relevant. Finally, the third big idea from my training was how important it was to properly facilitate a professional discussion around the topic of interest. In attending many meetings in the past, one of my constant frustrations has been a lack of direction by the meeting facilitator. For instance, if a topic such as “low test grades…what can we do about them?” shows up on the agenda, people at the meeting might talk for an hour or more without accomplishing anything. Rather than simply opening a topic up for conversation, CFGs use a protocol that is chosen by the facilitator and the presenter to help examine the presenter’s focusing question. During my training, I learned the importance of preparing for a meeting by using a pre-conference between the facilitator and the presenter. This meeting allows the two individuals to be on the same page about what the presenter wants to accomplish during the meeting, and the discussion between the two helps to determine the protocol that best fits the situation. The protocol is then used as a guideline for the facilitator as he guides the discussion through a variety of stages, often including rounds of clarifying questions, probing questions to help the presenter think more deeply about the question, feedback, and reflection. One of the things I valued most about being in KSTF was the quality of thinking and reflecting I had when talking with Fellows. At the end of my training, I had this grand vision, thinking, “wouldn’t it be so cool if we had CFGs in place throughout our entire school, a place to meet once a month and have these sorts of positive, constructive conversations we had been having throughout this week of training?” As I was getting excited to bring my newfound knowledge back to my school, I came to one big realization: there was only one trained CFG coach (me), 45 teachers in my building, and no possible way I could facilitate the whole building in a group. I would need some help. Additionally, there were the tasks of getting teachers to buy in to the CFG model, setting up meetings to be as successful as possible, and hoping that these efforts would somehow be more sustainable than the typical fads in education that last only one or two years. There was certainly a lot of work to be done. At the start of the new year, I spent a full day training a group of new facilitators, utilizing a structure similar to the one used in the NSRF training. This day was designed to allow my group to develop trust with one another, set up norms for how our group could work the best, and gain confidence in how to participate in low-risk protocols. Doing this not only helped us get our feet wet in working with protocols, but also in becoming more comfortable with one another before we started talking about deeper issues. Another takeaway for our group on this day was understanding the importance of listening and of silent reflection. Since my trainees were all leaders in their own departments, they were very used to being the ones doing the talking in their meetings. Hence, when a protocol required that they be silent for a period of time, I could feel the anxiety level rise in some people. I remember hearing one teacher say that it was extremely difficult for him to sit and be quiet, and to not fill up “dead air” when someone else was allowing time to reflect. Teachers have told me that they now feel a greater sense of community within their CFG that they did not have before. We continued training once a month after school, where we would work on tuning lessons and assessing student work collaboratively. By the end of the school year, word was spreading about how positive our CFG experience was becoming, and people were wondering how they could become a part of their own CFG. Similarly, many people were also wondering what went on during a CFG; as a result, we decided to run a tuning protocol for the staff for anyone who wanted to observe. The response was overwhelmingly positive, and nearly three-fourths of the staff voluntarily signed up for a CFG the following year. At the start of the new school year, we had placed everyone who expressed interest in joining into a CFG, setting up the groups to diversify subject matter as best as possible. With CFGs now in place, the last piece of the puzzle involved how we were going to incorporate the non-CFG members into the existing groups by the end of the year. Prior to starting CFGs, it was everyone’s understanding that all teachers would eventually be put into a CFG; it was up to the participants whether they wanted to start in right away or delay entering. While placing these individuals into a group might seem trivial, the issue of building up that trust among members loomed over my head since we had already spent so much time doing this earlier in the year. In talking with other teachers about how they felt joining the CFGs, I could tell that there was some anxiety about participating in discussions about our own teaching practices. Overcoming such anxieties is not easy, and while spending hours together working on listening and communication skills with one another helps to gain some of that trust, we will have to continue being proactive about building trust and professional relationship with each other, especially those teaching different subject matters. Even in the short time that CFGs have been a part of my school, there have been some positive noticeable changes. Teachers have told me that they now feel a greater sense of community within their CFG that they did not have before. I know I personally felt this after I had my knee surgery, and from the moment I returned to school, saw that so many people (especially in my CFG) would go out of their way to bring me ice, make my copies, and do anything else that would be difficult for me to do on crutches. Others who were very skeptical of the whole thing have said that they really appreciate getting together and having these professional discussions. For instance, a foods teacher at my school didn’t think anyone would want to hear about the issues she had with the reflective portion of a cooking assignment. However, after presenting the lesson and doing a tuning protocol on it, she gained enough feedback from her group to adjust a future lesson. On a personal note, I learned a great deal about teacher leadership outside of my classroom throughout this entire process. One thing I found particularly challenging was feeling a constant pressure to make sure things went smoothly so that people bought in to what we were doing. Thus, I made sure to pay close attention to the details of whatever we were doing for each meeting. In addition, I learned how important it is to trust other people. Since we had seven other facilitators working with various groups in the school, I had to trust that people were going to do their best to ensure as much success as possible, and that I could offer my assistance if extra support was needed. I learned the importance of listening, even during the times I felt like saying something. And I learned that a project of this magnitude takes a lot of time and patience to do well. In an era where everyone wants immediate results and feedback, I am thankful that we did not rush through the details to get CFGs into our school. I learned that a project of this magnitude takes a lot of time and patience to do well. In an era where everyone wants immediate results and feedback, I am thankful that we did not rush through the details to get CFGs into our school. Finally, I learned that even the best-laid plans don’t always work out the way you want them to. Of course, there are going to be frustrations among group members, and it is impossible to make everybody happy. But if you have the perseverance to work through these obstacles, and have enough people around you who believe in what you are doing, the right attitude can go a long way. While I cannot predict what will become of our CFGs in the years down the road, I am excited about the possibilities. For instance, we have started using peer observation and video protocols this year, and some teachers even hope to use simple protocols in their classrooms to teach students about listening to and discussing with each other. Sure, critical friends groups are not going to bring the KSTF culture into my school on their own; it’s going to take a lot of time and conscious effort by me and others to change how we talk about teaching and learning with one another. But now that we have a place for these types of professional discussions, I can hopefully bring my school a little bit of the KSTF culture for years to come. I would like to thank my CFG coach, Steve Barrett, for his invaluable assistance, feedback, and patience throughout this entire process. 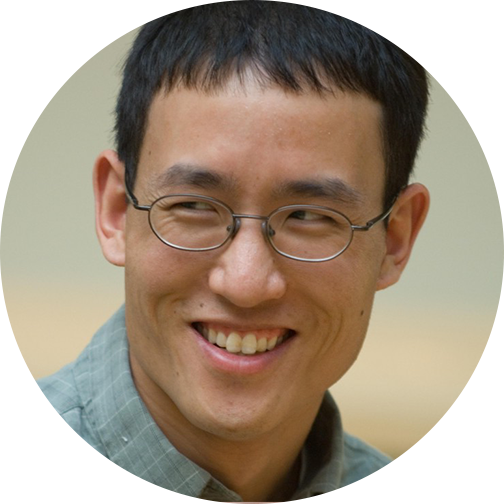 Victor Chen is a Knowles Senior Fellow who teaches science at Lee M. Thurston High School, which is located in Dearborn, Mich. He holds undergraduate and graduate degrees in engineering. Along the way, he realized he wanted to be a teacher, which he’s been since 2007. Victor can be reached at victor. chen@knowlesteachers.org. Bambino, D. (2002). Critical friends. Educational Leadership, 59(6), 25–27. Chen, V. (2015). Bringing a slice of KSTF to my school: How starting critical friends groups has helped create a space for professional reflection and discussion. Kaleidoscope: Educator Voices and Perspectives, 1(2), pages 15-18.